Letter from B. M. Adamson regarding the case of Captain Grey. Summary Letter from B. M. Adamson regarding the case of Captain Grey. 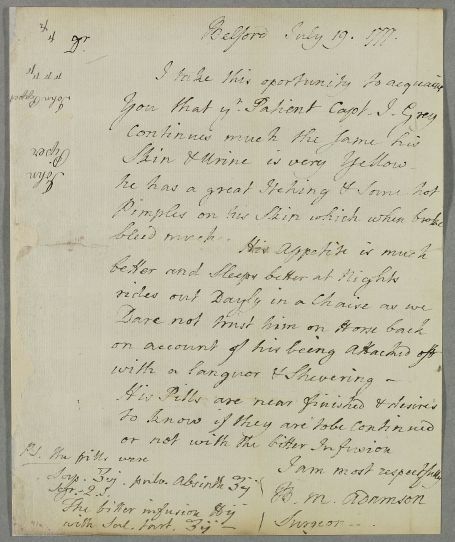 Case of Captain John Grey who is jaundiced and develops severe dropsy. 1: The handwriting renders this ingredient, possibly Squills, unclear. 2: This obscure, scribbled annotation is probably just the testing of a pen.